The news was escalated about the death of Tyron Perez who found dead inside a car parked along the NLEX service road in the vicinity of Brgy. Ugong, Valenzuela, as confirmed by concerned cetizen. 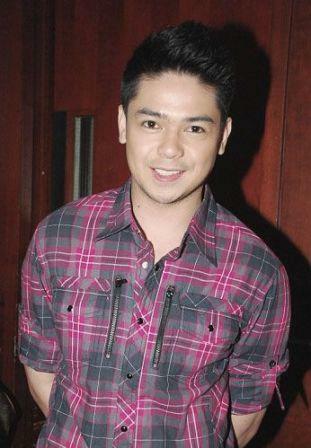 Kapamilya actor Tyron Perez died on Thursday night that shocks showbiz new days before the year ends 2011 according to the news report. “Tyrone Perez” was the top Twitter trending topic in the Philippines about his death happened to him. GMA-7 news personality Mark Salazar claims on his twitter account that Perez has committed suicide. Mark Salazar @MarkSalazarGMA7: "Young actor Tyrone Perez committed suicide on December 29, 2011. He’s dead. Please pray for his family and friends." But according to Senior Superintendent Wilben Mayor of Valenzuela police department, the cause of the young actor’s death is still unknown as the investigation is ongoing. The wife of late actor Tyron Perez, Liv Espino, said she was speaking on the phone with her husband when he allegedly shot himself as committing suicide. But the investigation still on going about the death news of Tyron Perez. The 26-year-old Tyron Perez was best known for being one of the finalists of the first season of GMA-7′s reality best know as StarStruck. "Our deepest condolences to the family of Tyron. Let's pray for the eternal repose of his soul,” the Star Magic said in a statement. Tyron was last seen in the afternoon soap "Mula Sa Puso" on the Kapamilya Network.